The Bookkeeping service operated by Healthy Business for doctors is targeted towards General Practice clinics in Australia. With the extended use of online accounting, bookkeeping can now be performed anywhere. Healthy Business for doctors bookkeeping service has regular clients in Darwin, Melbourne, Sunshine Coast and many place in between. Location is not important. Healthy Business for doctors prefers to use XERO online accounting. It is important for practices to have a bookkeeper that understands the Modern Awards that apply to staff in a medical practice, and who understands the normal (and expected) costs and income generated by modern practices. Healthy Business for Doctors has a very experienced General Practice Bookkeeper. Awards commonly used by Australian Medical Practices include Nurses Award and the Health Professionals and Support Services Award. Has processes and templates for accurately calculating Independent Contractor service fees and generating Tax Invoices. Healthy Business for Doctors knows which Medical Billing software reports are required to ensure that payments made to those who earn based on billings / receipts are accurate. Healthy Business for Doctors knows which Medical Billings software reports can be trusted not to change over time. 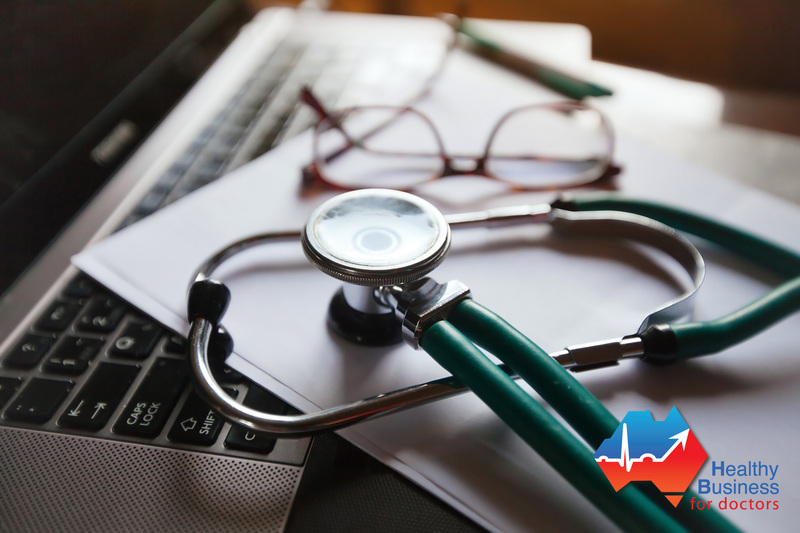 Healthy Business for Doctors prefers to have direct access to Medical Billing Software via remote access, however that is not necessary. Healthy Business for Doctors works with the practice accountant, not against them. We encourages all practices to have pointed discussions with their preferred Accountant on a regular basis. Healthy Business for Doctors does not try to sell the services of their own preferred Accountant. Your accountant should lodge all BAS and IAS with the Australian Tax Office. This means that another independent person has viewed and summarily assessed the financial records of the clinic at least monthly. Healthy Business for Doctors will return payment detail the same day or overnight in most cases. Healthy Business for Doctors understands the cyclic nature of payrolls and contractor doctor payments and rosters staff around predicted workflow. XERO has changed the way that bookkeeping works in Australia and around the world. The other major software players in Australia are playing ‘catch-up’, trying to mimic what XERO does. There is no new innovation from software companies other than XERO. Admin support staff at the practice can upload invoices, remittance advices, and other statements via email to your XERO set of accounts. Healthy Business for Doctors will code invoices and set them up for payment as they become due. Deposits and withdrawals to/from the bank accounts are matched automatically to outstanding bills and invoices in XERO. At any time later, you could do a search for say, all payments to ‘The Power Company’. After clicking a few times you could opened a .pdf copy of each power bill for comparison. Because XERO is online cloud based software, multiple people can be active in the accounts simultaneously. Your accountant can log on and provide advice from live data. Healthy Business for Doctors can be entering data while reports are being run. No more sending chunky files back and forwards. Healthy Business for Doctors accesses each of the main banking business portals. Payroll and/or payment files can be uploaded by Healthy Business for Doctors. Payments can be forward dated to the due for payment date. Principal doctors are expected to log on and approve (or NOT !) each individual payment. The business owners control all funds out of their bank accounts at all times. Not sure about a particular payment, then get it checked or get further information before you authorise it. This provides a ‘separation of duties’ which is an essential part of fraud protection. ‘Separation of Duties’ ensures that multiple people see the work, and that no single person can take an advantage that they are not due. XERO allows for modern payroll calculations. Payslips and Payment Summaries are emailed to staff, tax rates are automatically updated. Healthy Business for Doctors is very experienced in providing payroll services to Medical Centres. Health Business for Doctors understand how rosters work, understands the awards used in Healthcare in Australia and understands what is normal HR practice in Healthcare in Australia. The payroll component of XERO is fully integrated into XERO, and wages, PAYG and Superannuation Guarantee Levy contributions are very easily tracked and managed. Contact Healthy Business for Doctors today for a quote.